NEW ORLEANS, LA, September 7, 2018 -- Today the futureNOLA Project announced the first six jurors who will review submissions to the futureNOLA Call for Ideas. 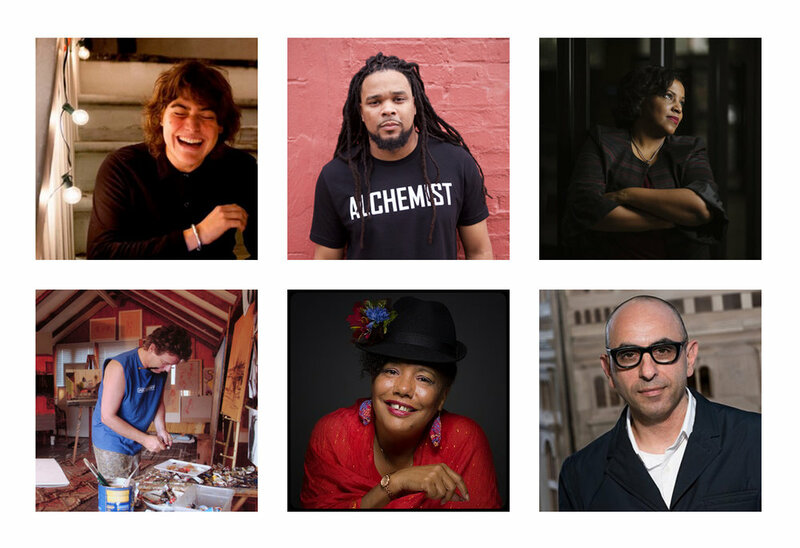 They include artist and activist, Brandan “BMIKE” Odums, artist and writer, Valentine Pierce, writer and producer, Laine Kaplan-Levenson, internationally-renown architect and educator, Nader Tehrani, affordable housing advocate, Andreanecia Morris, and artist, Simon Gunning. The futureNOLA Jury Selection Committee will continue to add to the jury in the coming month. Considering environment, cultural identity, equity, and smart growth, futureNOLA seeks proposals that envision opportunities and solutions for New Orleans over the next 300 years. futureNOLA invites creatives of all ages, backgrounds, cultures, and professions to take part in imagining this future. The futureNOLA Call for Ideas is open through September 30, and open to anyone who would like to share their vision of New Orleans’ future. Submissions will be considered for recognition in an exhibition and reviewed by this distinguished, multidisciplinary jury. The futureNOLA Project includes an International Call for Ideas, Exhibition, Gala, and Publication, collectively offering a platform for individuals and teams to share their future of New Orleans with professionals, politicians, and the public. The Call for Ideas has been crafted to allow submissions of all types (visual, text, audio, video, etc.) through September 30, 2018. The futureNOLA Project is a project of the New Orleans Architecture Foundation.